Sell Watch in San Diego – 6 Locations to Serve you ! Are you selling watch? 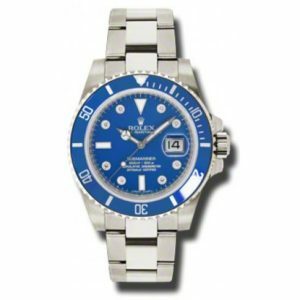 Get a cash for watch quote in minutes and sell watch today. Selling watch in San Diego? Find out why customers think we are the best place to sell watches in San Diego. If you are considering selling Rolex in San Diego or to sell watches altogether, you should check out Cortez Watch Buyers in San Diego. With 6 convenient locations to serve you, chances are you can sell watch to one of our San Diego watch buyer locations without having to travel far. Cortez Watch Buyers San Diego pays cash for watches. feel free to compare it to other places. make a quick evaluation. Once you come in you will find out that we offer the Best Service in San Diego. This way you eliminate many possible problems with selling your watch online. Fast and secure service and friendly staff. more cash for other places in San Diego and we are conveniently located in Downtown Chula Vista. leave with cash in your pockets. If you are selling used Rolex or selling preowned Rolex in San Diego, bring any additional accessories you may have, if any. If you have the box and papers that helps get you more cash for Rolex in San Diego. Our San Diego Rolex buyers will pay more if you have the box and papers for the Rolex you are selling. If you have the extra links that also helps get you more money as extra links for larger wrists are necessary to sell the watch retail to a larger selection of customers. Extra links can be expensive and therefore if you have them already that will add value to your watch because a retail Rolex buyer in San Diego would have to spend money to purchase new links which often can be 18 karat gold and therefore the Rolex buyer would want to pay less for your watch since they would have to spend money to buy the links. So, when selling Rolex in San Diego, gather up all the papers that you have, the box and the extra links to get more cash for Rolex in San Diego. If you don’t have the box, papers or extra links, don’t worry. You will still get cash for Rolex San Diego values, but with these additional items you will get more, of course. If you are looking to buy a watch you can come in we are opened Monday-Sunday and our business hours are 10 am to 6 pm. We can make appointment for before or after-hours to accommodate your schedule. 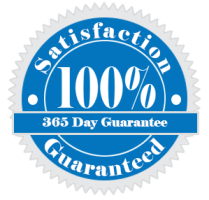 One of our experts will help you and everything is fast and easy. We know times are tough and this is an easy way to make some quick cash. Call (619)900-7266 or click here to contact us. How to Sell Watch in San Diego? If you want to know about how to sell a watch in San Diego and get the most money, all you have to do is get your watch and all paperwork, box and extra links together and start shopping around. There are many places to sell watch in San Diego. Different places offer different prices. Some places have retail customers for the watch you want to sell. Others may have collectors or other dealers that are willing to buy the watch you want to sell. How do you know where is the best place to sell a watch in San Diego? Well, the answer is simple. Since there are so many watch buyers in San Diego, your best bet is to shop around a little. Why? Because as discussed above, each place would have their own specific dynamics. For example, a particular watch collector may want to add your watch to their collection. They are not looking to buy your watch with a view to resale. Therefore, they may pay extra cash for the watch you want to sell in San Diego because that may add or complete their collection. Another scenario is that a dealer may have a retail shop and decide to keep your watch in their showroom for a while until they can get the right buyer for it and not sell it for a while. You may get more money that way since a retail buyer would pay more for your watch when it is sold in a store. Sell Watch in San Diego Today ! Another scenario may include a dealer that buys a lot of watch and sells them to other dealers. That dealer may pay less because he needs to make a profit and other dealers don’t necessarily pay the most for the watch you are selling because they need to make a profit too. The closer you get to the end user, technically, the more money you should get. Why? Because if your watch is going to a collector or a retail buyer which is more likely the end user of that watch, you are getting more money, just like when you buy a watch yourself, you would have to pay the dealer or watch store a premium to buy the watch from them. The closer your are to wholesale buyers, they less you will get paid. 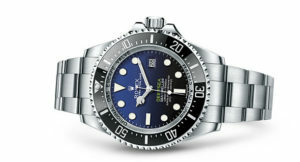 That is the general rule, however, that is not always the case as payments from various watch buyers can vary. Why Sell Watch in San Diego to Cortez Watch Buyers? Cortez watch buyers in San Diego has established retail jewelry store locations in San Diego that can retail your watch to end users. Cortez also can sell watches to collectors across the country. 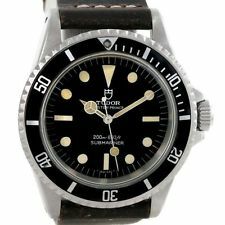 Finally, we also deal with other dealers depending on the situation and therefore offer many avenues for re-selling your used watch in San Diego. One thing you should know, when it comes to selling my watch in San Diego, Cortez has 6 retail locations that can provide you with a cash for watch quote when it comes to selling watch in San Diego. So not only do we have retail buyers for your watch as well as collectors and a nationwide network of dealers, we also offer retail locations for your to sell your watch and get paid immediately. Just come in with your watch and walk out with cash for your watch today. I want to sell watch in San Diego. How do I get a price quote? If you want to sell watch in San Diego, you can get a cash for watch quote immediately. Just click here and fill out the information on our online watch pricing engine and receive a cash for watch San Diego quote for the watch you want to sell. You can then come in and get paid on the spot or mail in your watch. Sell Watch San Diego ! Come in today and get paid today. How do I sell Watch in San Diego? Just come in with your watch, we’ll take care of everything else and get you paid on the spot ! Sell Watch San Diego Today! I want to sell watch in San Diego but I am not sure which watch buyers are the best? What should I do to sell watch and get the most money? Best answer to that question is to shop around and see who would pay you the most money for your watch. I want to sell watch in San Diego but I don’t have the box and papers. What should I do? You don’t need to have the box and papers to sell watch in San Diego. Of course if you do have these items it would help sell watch and get more money, but we buy watches with or without papers. We understand that not everybody keeps the original papers with people moving, buying used watches, inheriting and needing space it is hard to retain all papers, warranty information, box and extra links. Therefore we buy watches with or without the box and papers, however, a State or Federal picture ID is absolutely necessary when you want to sell a watch in San Diego. Any San Diego watch buyers must ask for your ID when you sell watch in San Diego. If they don’t there is something wrong because state and federal laws require all legitimate San Diego watch buyers to record your ID information when you sell watch in San Diego. Call us or come in today !